My lifelong goal is to live and work in space as an astronaut. I started the "Astronaut for Hire" blog back in 2007 to chronicle my progress through the NASA astronaut application and selection process. I passed through the first few stages of selection and made it to the "Highly Qualified" round (top 3-13%) before being cut. In the process I met lots of great people who share this passion, and it has changed my life. 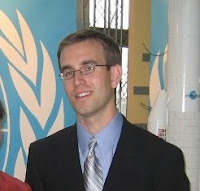 In 2009 and 2010, I took part in the FMARS and MDRS simulated Mars missions and recently co-founded an exciting new organization to develop the commercial astronaut workforce called "Astronaut4Hire". Again in 2012, I made it to the Highly Qualified stage of NASA's astronaut selection, but I am undeterred that the advances I am making will enhance my chances going forward. In 2014, I will be an Atlantica Expedition crewmember in an underwater habitat off the coast of Florida. This blog continues to track my activities and musings as I make my own way to space, opening the frontier for more people. At my heart I am an explorer, always thirsting for adventure in far-off corners of the world. My expeditions have taken me near the North and South Poles in the Arctic and Antarctic, throughout equatorial Pacific islands, and to many places in between. I was even part of a small team to first discover and report a major volcanic eruption just days after I had been the last person on the small volcanic island. Space is the next frontier I plan to explore. My main hobby is running. 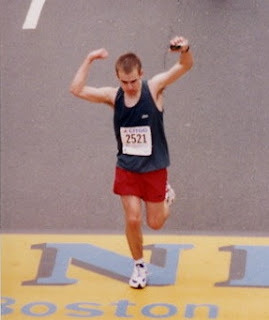 I have 6 marathons under my belt, including the highly competitive Boston Marathon (pictured here), and over 70 shorter races. I'm also a recreational cyclist and have been known to partake in the occasional triathlon. My favorite places are mountains, and I can never get enough snow. I'm a trained climber and mountaineer with glacier-trekking and minor mountain-climbing experience in both Alaska and Antarctica. Having grown up in an aviation family, I am a Private Pilot and also hold several SCUBA dive certifications. When I can, I also like to go hiking, backpacking, kayaking, and skiing too. 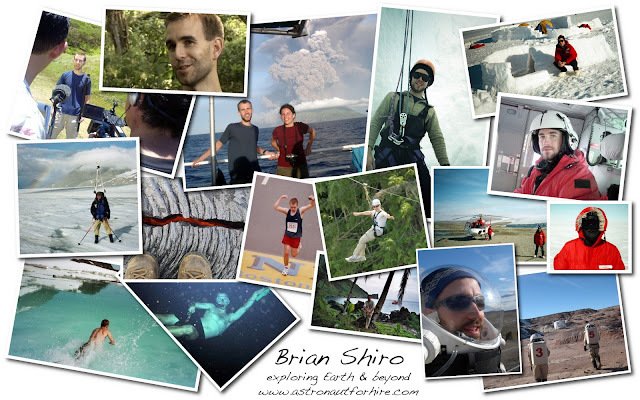 My professional background spans the physical, earth, and planetary sciences. I'm interested in plate tectonics, earthquakes, volcanoes, impacts, and the interiors of terrestrial planets. I also like science policy and hope to help shape the government's science goals and priorities someday. The common theme in my interests is a belief that science--including scientific exploration--should improve society. That's why I am particularly passionate about natural disaster mitigation using space technologies and the synergies between ocean and space exploration. I think we have an obligation to excite the next generation about science, so I enjoy teaching students and attending events like career and science fairs a few times per year. I am regularly interviewed by the news media, and my work has recently been highlighted in two video profiles here and here. I try my best to live sustainably and help others to do the same. I believe we can all do more to reduce our footprints on the Earth and leave it in better condition for our descendants. A native of Arkansas who transplanted to the Midwest, I now live in Hawaii with my wife and two young children. If you have questions about earth science, space exploration, sustainable living, natural parenting or anything else, let me know.